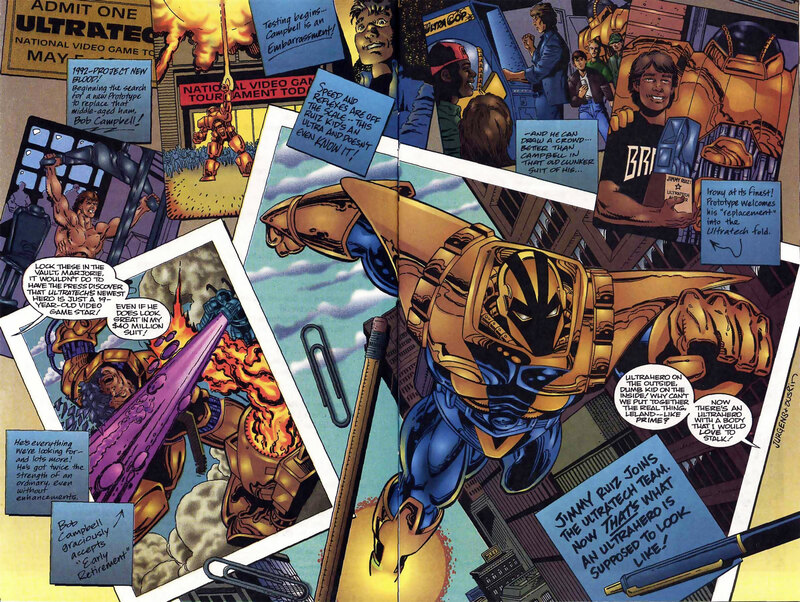 One of my own personal favorite Ultraverse titles was Prototype! I’ve always been a sucker for Iron Man-like characters, and this one had some really interesting aspects. For example, this comic was not only about Jimmy Ruiz, the new Prototype, but it also followed the challenges of Bob Campbell, the middle-aged former Prototype. Check out this awesome page from Ultraverse Origins #1 written by Tom Mason & Len Strazewski, drawn by Dan Jurgens & Terry Austin! To provide some perspective, this comic was released the same month Prototype #6 was on the shelves. Click the image to enlarge! Such a cool character with so much potential. A real shame he’s not around today.